Sustainable urban developer Citu has unveiled the first CGIs and detailed designs for its groundbreaking Citu Home – a new timber framed housing system which will create one of the mostairtight and energy efficient homes in the world. The Citu Home will be a game changer in the fight against climate change. 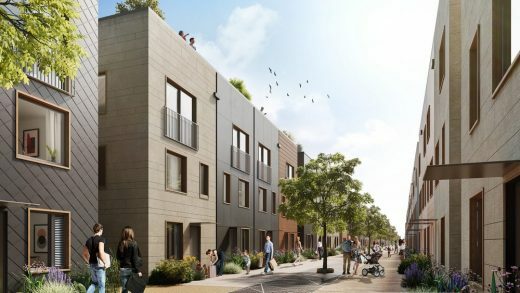 It will offer unrivalled energy performance – up to ten times more energy efficient than a standard modern UK home* alongside a factory-built technique which will allow Leeds-based Citu to manufacture the homes on a mass-scale, creating a climate conscious solution to the UK’s housing crisis. 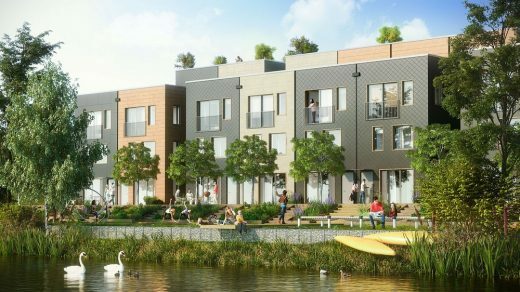 The homes will be built on site at the developer’s Climate Innovation District in Leeds; the UK’s firsturban low carbon neighbourhood and the first ecologically pioneering District of its scale in Europe. 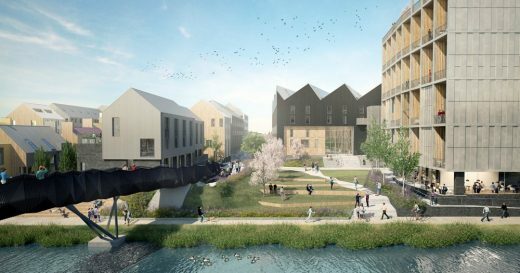 The District, which straddles the River Aire, will feature more than 500 low carbon Citu Homes including apartments and houses, alongside manufacturing, leisure, offices and climate resilient public realm in the heart of city’s landmark South Bank regeneration project. The Citu Home has been developed by Citu in partnership with Leeds Beckett University. It combinesa holistic approach to place-making which has made Scandinavian countries world leaders in creating low carbon neighbourhoods, with the most innovative sustainable technologies. A mix of 1, 2, 3 and 4-bedroom homes, based around a Scandinavian model of medium density urban housing, will be manufactured at its purpose-built on-site factory, Citu Works. Once fully operational, Citu Works has the capacity to produce up to 750 low carbon homes each year for future developments across the UK, reducing the carbon footprint of the construction process by 24,000 tonnes annually (compared to traditional construction methods) and giving Citu complete control over quality and energy performance. Comments Chris Thompson, founder and managing director of Citu: “The Citu Home, and the wider Climate Innovation District, represent a pioneering new approach to house building in this country which is one of the biggest causes of carbon emissions. The self-build market has been able to design energy efficient homes for a while now, but no one is doing it on a mass-scale and without a big change, the UK is not going to meet its ambitious targets for either new housing or reducing carbon emissions. The first phase of the District, which is already on site and has been part-funded by a £7.7m loan from the Leeds City Region Revolving Investment Fund (RIF), will comprise 121 homes and 191 apartments designed by award-winning Swedish architects, White Arkitekter; which is behind many ofthe progressive new neighbourhoods in Europe. 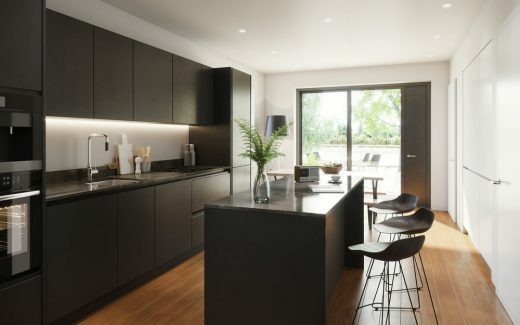 A second phase including further apartments and commercial development is designed by Manchester-based Ollier Smurthwaite Architects. electric vehicle charging enabled. ‘The Secret Garden’ also includes more than one square kilometreof open land for play and relaxation. Running through the heart of the development will be an urban promenade, ‘Solar Avenue’, a timber-decked walkway with access to a shared central green, which has been designed to help foster a sense of community; a place where residents will bump into their neighbours. As part of Citu’s long-term plan for the District to become completely sustainable, each resident will become a member of a Community Interest Company (CIC) which will take over when the development is fully sold. The CIC will own the land, infrastructure and renewable energy systems within the development. All energy produced from the homes’ solar panels will enter a community network and the CIC will buy electricity from the National Grid through Good Energy (which is 100% renewable) to supplement it. The CIC then bills each residence according to its energy usage, with excess energy sold back to the grid and the profits used to invest back into the CIC. The first 18 Citu Homes have now been released for sale, and include three 4-bedroom home layouts which range from £330,000 to £390,000, featuring a mix of spacious double bedrooms, large openplan kitchens with light wells extending from the ground floor through to the second-floor ceiling, roof terraces and en-suites. The homes are due to be completed early 2018.